2. 1st Color Layer: Seal the free edge and apply an extremely thin, translucent layer of CNDTM SHELLAC LUXE™ Color Coat to all five nails. 3. Cure for one minute (preset button 2S) in the CND™LED Lamp. 2. 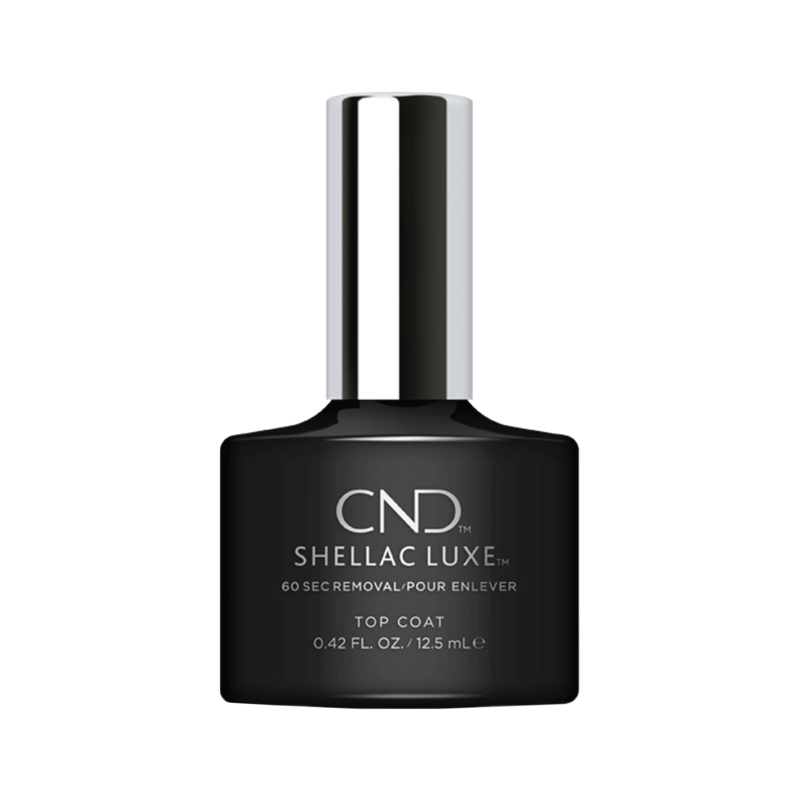 Seal the free edge and apply a layer of CNDT™ SHELLAC LUXE™ Top Coat to all five nails. 4. Remove the top lm with a plastic-backed, lint-free pad saturated with 99% Isopropyl Alcohol.